Oh, yes! It is that time of year again! The time we all love to hate: Valentine’s day! There have been so many debates on this celebration, but I am not here to argue with you. Whether you believe in it or not, whether you like it or not, I mostly believe that it is another reason for us makers to get craftin’. 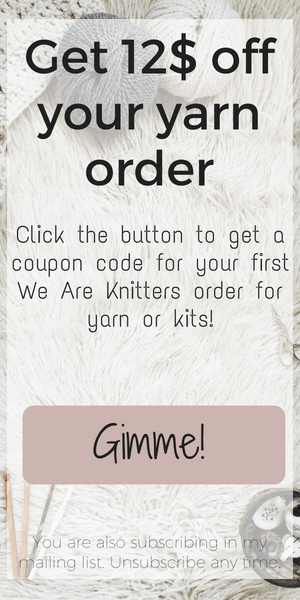 Or just a little excuse to buy more yarn? 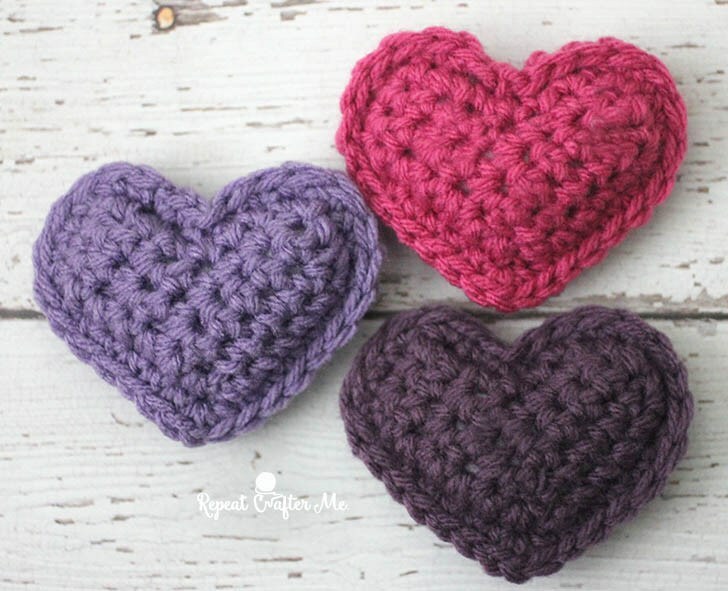 I have compiled a few of my favorite free crochet patterns for Valentine’s day in this little list. As always, tried to include projects with various difficulties but most of them are suitable for beginners. Click the link above each picture and it will lead you straight to the pattern! 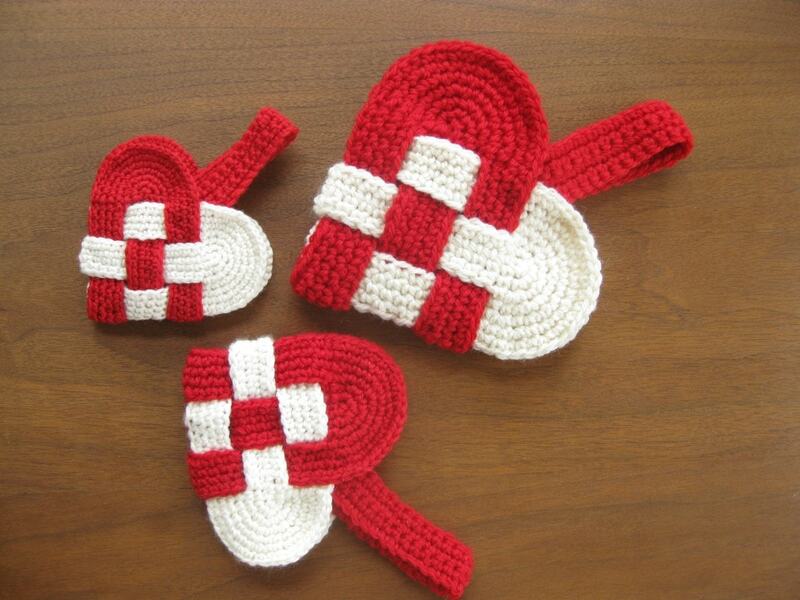 The Danish heart! Looks complicated but it is not. Genious hack in design by Allison Pyper. 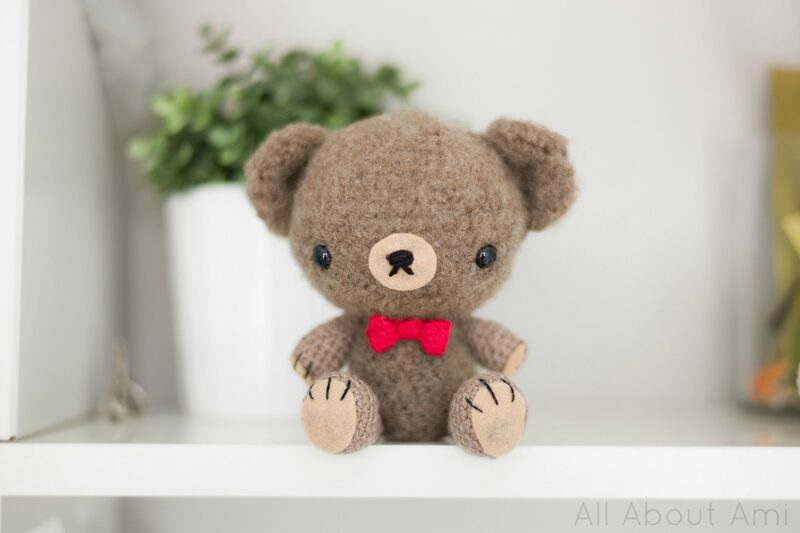 Only the cutest Valentine teddy! How adorable is he with his little bow tie. Doesn’t this pop heart look like it is actually beating? How lovely! 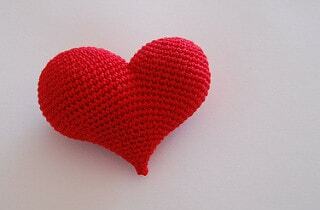 Very simple and adorable crochet Valentine’s heart applique. You can make a bunch of them in a matter of minutes. Great for a beginner, too. 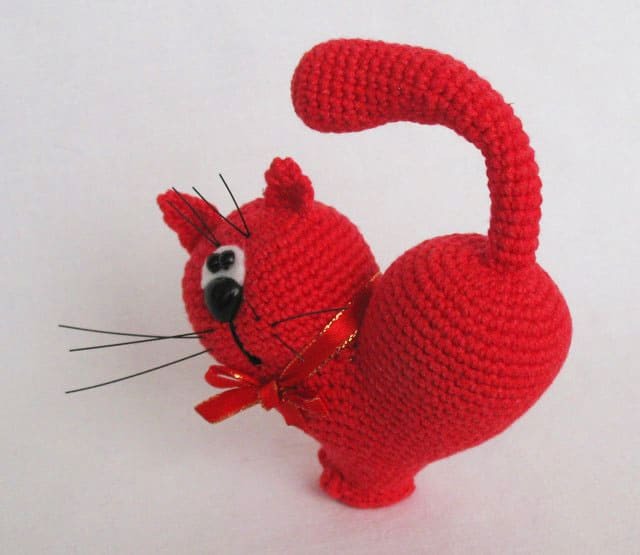 Something quite different from all the heart shapes out there, this Valentine’s day cat will definitely steal your heart. 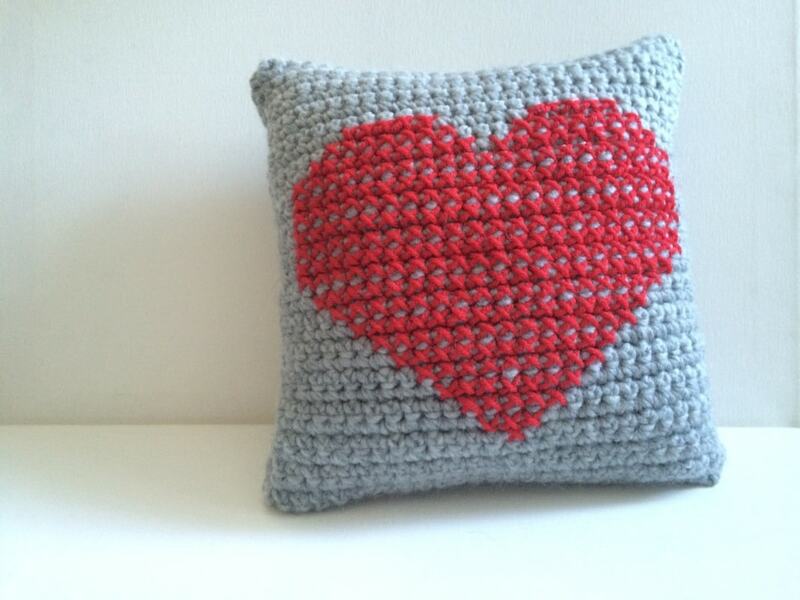 Adorable and useful this easy heart xstitch pillow will combine your love of crochet with a little embroidery. 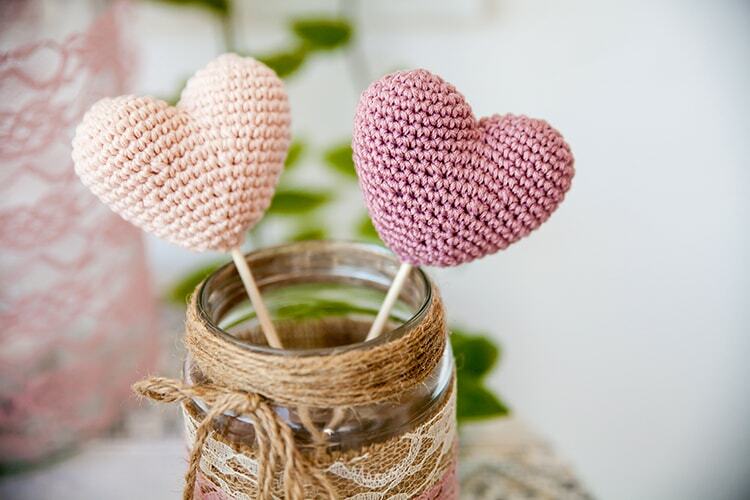 And then there are these small crochet hearts that I made for my wedding decorations. 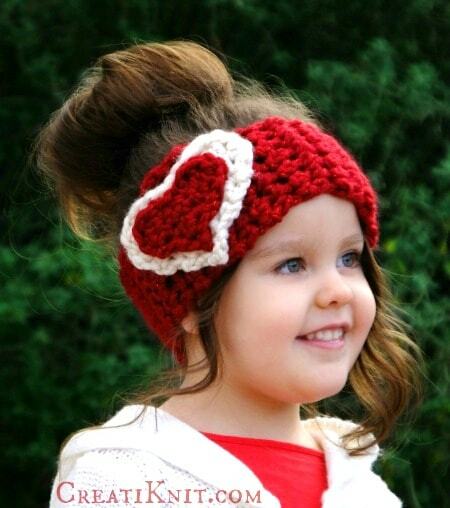 In this post, you can find two versions of the same design, a knit and a crochet heart head warmer pattern. 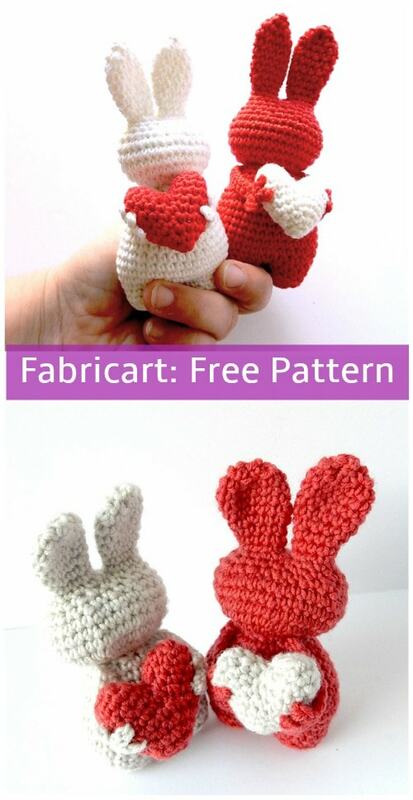 Adorable crochet Valentine Heart Bunny. And they hold up little hearts, too! 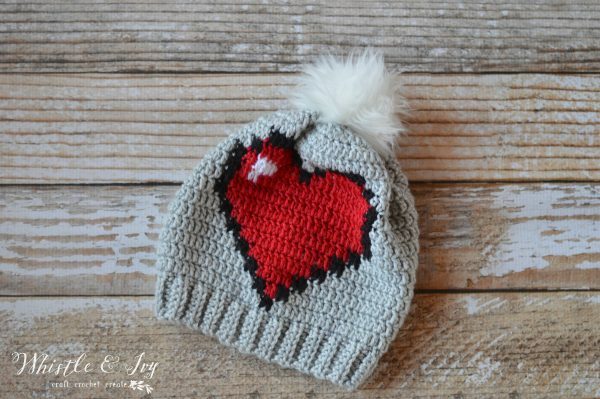 The crochet 8-bit heart slouchy hat will definitely make your heart skip a bit! 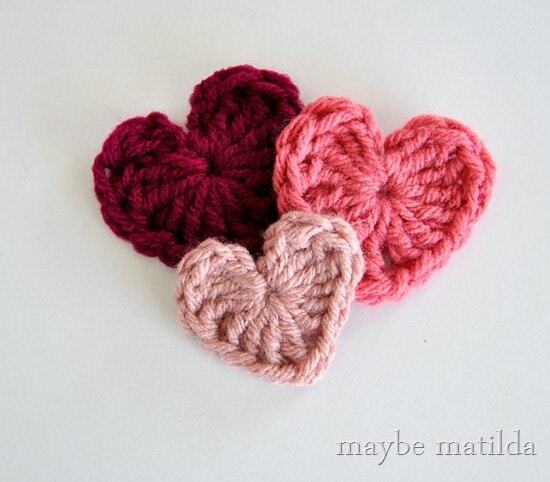 Another fun and quick project are these crochet puffy hearts. Believe it or not, this is one of my very first pins when I joined Pinterest. 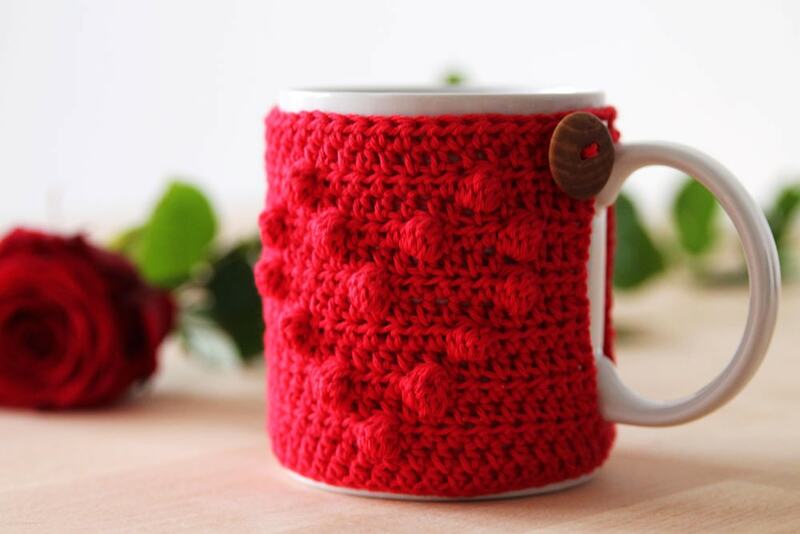 The I Heart U mug cozy holds a special place in my heart. 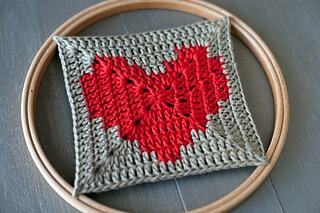 And finally this granny square heart. The blog post is in Spanish but it has a very useful chart.